A LITTLE ABOUT OUR SEED BANK We're an experienced retailer of cannabis seeds online and, although relatively new, we're already considered one of the most reliable and trusted marijuana seed banks online. With a catalogue of over 2,500 cannabis strains from the best marijuana seed banks in the world you'll find something here for every taste. 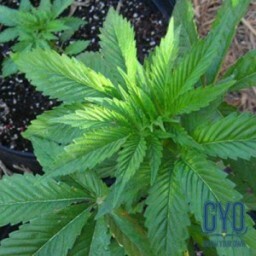 If there's a specific cannabis breeder you're looking for on GYO and can't find, please let us know. We'll happily investigate whether we can work with them or add their brand to our roster...assuming their marijuana seeds are the right stuff of course! What are you waiting for? Check out our world class line-up of cannabis seed banks now! Taking it from the top we have the big bear, Dickie, managing director, visionary leader and the man responsible for everything that is good about GYO Seedbank, at least, that's what he told me to write! He is one of the most passionate and driven business leaders around and his goal is to push the industry towards the mainstream, to remove any lingering stigma and to normalise the way people buy marijuana seeds. Our Support Team is managed by Dasha. She is patient, understanding, and, as long as Bernie keeps her in coffee, she is always ready to listen. She has her staff fully trained and well-informed and she always has your best interests at heart. After all, if you're happy, she's happy and that's all we can really ask for.